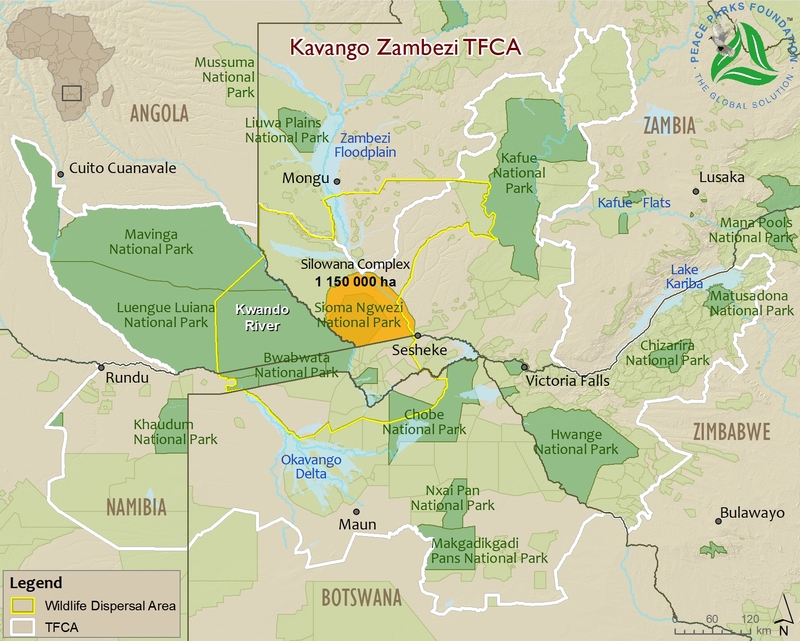 Within the Zambia component of the KAZA TFCA lies the Sioma Ngwezi National Park and the Zambezi West Game Management Area, together referred to as the Silowana Complex, an area that was declared by the Litunga – the Lozi King – as a protected area more than a century ago. It is a vast ecosystem which lies within the Kwando WDA and covers an area of approximately 11 500 km2. The Silowana Complex has been earmarked for intensive wildlife recovery as it plays an essential ecological role in wildlife movement along the Kwando and Zambezi rivers. Despite reductions in wildlife, as a result of poaching during the liberation struggles that characterised the area, the natural vegetation, however, remains largely intact and, aside from some slash and burn agriculture and logging, the terrestrial system still holds significant production potential, especially for wildlife, and a wildlife-based economy. The area is being managed by Zambia’s Department of National Parks and Wildlife (DNPW). Since 2007, PPF and WWF-Zambia have worked in partnership with DNPW to support the implementation of various projects here. Projects include protected area management, infrastructure development and community livelihood development programmes. A memorandum of understanding was signed between the Department of National Parks and Wildlife in Zambia, Peace Parks Foundation and WWF Zambia, outlining the guiding principles on collaboration in the management and development of the Sioma Ngwezi National Park and the greater Silowana Complex.  It establishes the responsibilities of the parties, as well as the institutional framework of the joint collaboration for achieving specific objectives, and sets out the platform from which to coordinate investments and funding from the various parties. Planning is directed by a steering whilst a Project Management Unit has been established to action the various decisions taken. Discussions and resolutions have taken place around the administration (staff issues and funding), the development of management and business plans, infrastructure development, wildlife management and protection, community development, and tourism development. Peace Parks Foundation assisted with the development of park headquarters which offers staff a professional working environment during the day and comfortable accommodation at night. Funded as part of the KAZA TFCA development by the German Federal Ministry for Economic Cooperation and Development, through KfW, the new headquarters includes 11 offices, a radio control room, an ablution block, 20 houses for junior staff and five houses for senior staff. The houses were all connected to water and electricity. A satellite communications system was installed to enable the offices to have Internet connection and a borehole was sunk to ensure a steady stream of good quality water. All of the houses are connected to water and electricity and a satellite communication system was installed which provides Internet connection. Poachers operating in the Sioma Ngwezi area typically cross the borders between Angola, Namibia and Zambia with groups consisting of nationals from all three countries. In an effort to address and counter this, the acting warden of the Sioma Ngwezi National Park initiated an Angola, Namibia and Zambia Cross-Border Forum. The forum comprises staff from the Luenge Luiana National Park in Angola, Bwabwata National Park in Namibia and Sioma Ngwezi National Park in Zambia. It serves as a platform to discuss operational matters, such as communication channels to be used during cross-border poaching incursions. Peace Parks, with support from the Cleveland Zoological Society, assisted with establishing basic infrastructure at the Kwando ranger outpost by erecting tents and constructing a wooden cabin. To further promote effective law enforcement here, a boat and outdoor motor were purchased to be used for patrols on the Kwando River. A hangar and a microlight aircraft were sponsored by Club 21 members, Neville and Pamela Isdell. 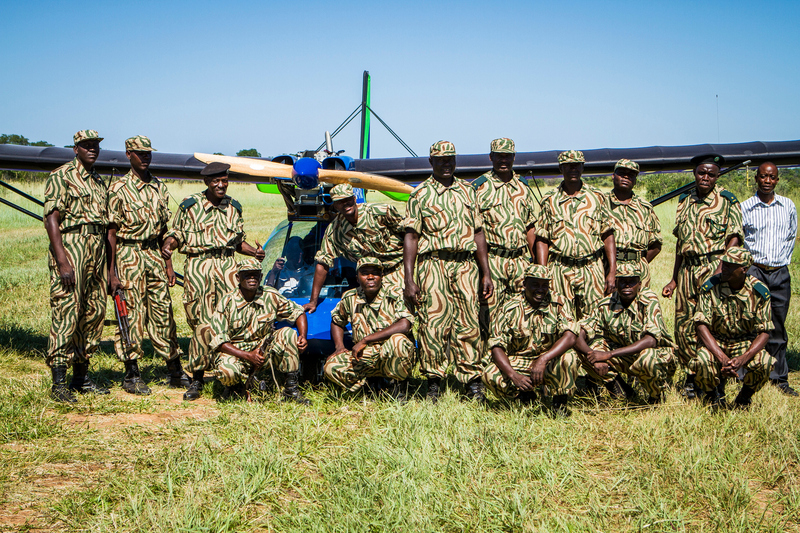 Two local Sioma Ngwezi employees were also trained as Light Sport Aircraft pilots and can now monitor wildlife in the park from the air using the microlight. Two additional vehicles were also purchased which greatly improved the effective deployment of personnel across the park. We work closely with Zambia’s DNPW to boost game numbers in the area through restocking and rewilding. This involves the capture and translocation of plains game such as zebra, wildebeest and impala provided by DNPW in other national parks for translocation to a specific area suited for such game and for game sightings. Game population growth will increase the attractiveness of the area for wildlife tourists. Water augmentation in this, and the larger area is important to encourage game to remain in the area. Within Sioma Ngwezi National Park, two boreholes were drilled and equipped with pumps which feed into to two 10 000 litre tanks providing water to the park’s intensive protection zone. To augment the areas water supply, water is pumped to two pans and plans are in place to expand to other areas. 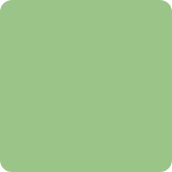 A direct consequence of this is the fact that game numbers stabilised and are now growing well. Despite no current tourism facilities in the Silowana Complex, the area holds much potential for establishment of additional accommodation and tourism attractions, especially if developed in close consultation with local communities. Currently, there are two campsites at Ngonye Falls which, in the future, could be developed to accommodate additional tourists. To boost visitor numbers in the park, the road between Sesheke and Sioma Ngwezi was tarred. Sesheke is a border town and lies on the northern bank of the Zambezi River about 50 km from the park. By linking Sioma Ngwezi with Sesheke, tourists travelling to Victoria Falls or Barotse Floodplain can easily visit the park as part of their tour.